Dr. Sommers earned a B.A. and M.A. in history at Southern Illinois University at Carbondale, and an M.A. and Ph.D. in history from Washington University in St. Louis. Her fields of specialization include the Enlightenment, Early Modern and Modern Britain, the Age of Empire, Historical Method, and the History of Fraternalism. She is the author of Parliamentary Politics of a County and its Town: General Elections in Suffolk and Ipswich in the Eighteenth Century (Greenwood Press, 2002) and Thomas Dunckerley and English Freemasonry (Pickering & Chatto, 2012). 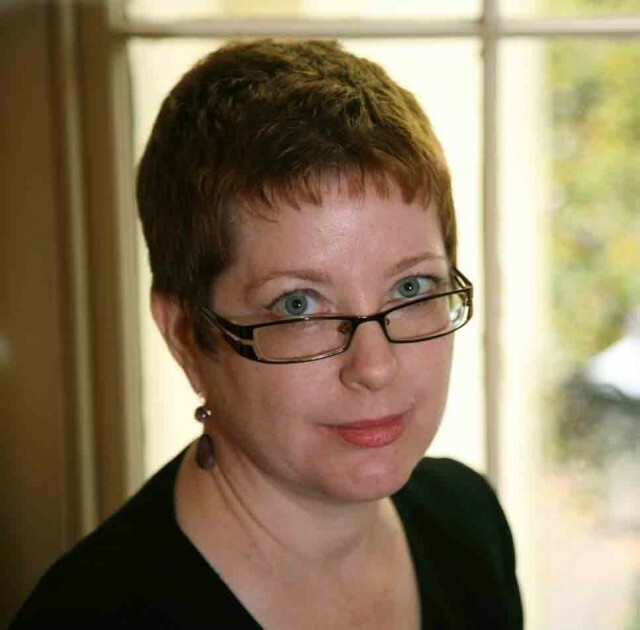 Her current book projects include: Dr. Ebenezer Sibly and his Circle: A Family’s Life in Books in Georgian London, and The Radical Brotherhood: The Society of the Gentlemen Supporters of the Bill of Rights. Both of these projects involve placing Freemasonry and Freemasons into a larger contemporary context. Dr. Sommers’ most recent articles include, “Robert Thomas Crucefix, Redux,” Journal for Research into Freemasonry and Fraternalism, (September, 2013), “Hidden in Plain Sight: The Order of the Eastern Star in the Historiography of American Women’s Associations,” Journal for Research into Freemasonry and Fraternalism, “Marranos, Masons, and the Case of the Mislaid Text,” Heredom, Vol. 20, (2013). Thomas Dunckerley: A True Son of Adam,” Ars Quatuor Coronatorum, Vol. 124, (2012). Dr. Sommers recently contributed an article on Thomas Dunckerley to the Oxford Dictionary of National Biography, a fundamental resource for British historians since 1885. In January 2015 Sommers will assume a General Editorship of the Journal for Research into Freemasonry and Fraternalism. She is a significant contributor to the recently published Le Monde Maçonnique au XVIIIe siècle, edited by Cecile Révauger and Charles Porcet. This publication, nearly 3,000 pages, contains the biographies of nearly 1,100 eighteenth century Freemasons from Europe, Britain and the Colonies. Rather than focusing on masonic lodges, the 120 expert contributors place individual Freemasons in their social, cultural, philosophical and political contexts, highlighting the important connections between individuals and nations during the Enlightenment. Dr. Sommers is contributing to British Freemasonry, 1717–1813, 5 vols. (London: Pickering and Chatto), under Róbert Péter, general editor. The subject of this lecture, Thomas Dunckerley (c. 1720-1795), cuts a swath through late 18th-century English Freemasonry. As the very active Provincial Grand Master of eight Masonic Provinces in southern England, he set an important example by building up the provincial organization of the Grand Lodge, establishing a model of local governance that has influenced provincial Freemasonry to the present day. Dunckerley was also a great Masonic innovator, taking a leading part in the integration of the Royal Arch into the activities of the Moderns Grand Lodge, and presiding over Royal Arch Masonry in 11 counties. Dunckerley enthusiastically promoted the English Knights Templar and Royal Ark Masons, serving as the first Grand Master (or its equivalent) of both organizations. In the 1760s Dunckerley pioneered “sea” Masonry, establishing a number of lodges on ships at sea, using his personal warrants. There is evidence he even toyed with the idea of establishing an English Adoptive Rite for women, to be headed by his wife, “Sister” Hannah Dunckerley. What all this activity points to is the creation of a Masonic “empire” of sorts, one that crossed rites and degrees, and reached from the Mediterranean to Quebec. 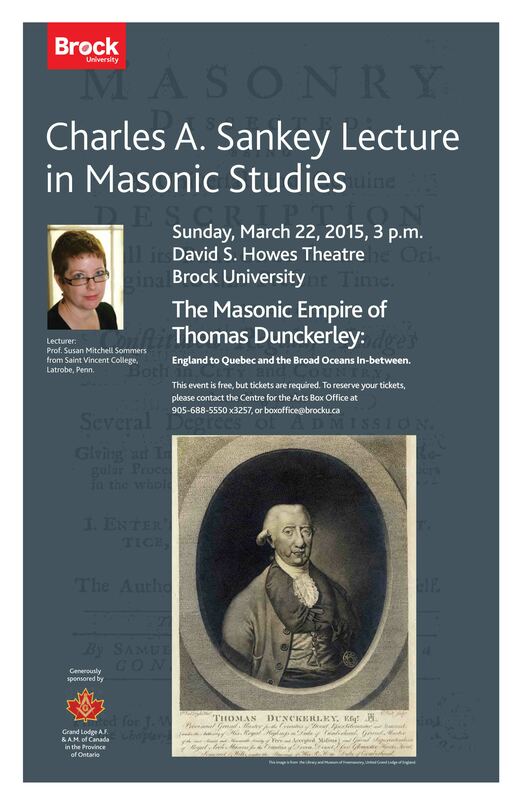 The lecture explores Dunckerley’s innovations, and highlights his ongoing involvement with Freemasonry in Canada, which had as its focal point the bitter rivalry between the Ancient and Modern Grand Lodges of England.